i love this photo where roman popped in front of my lens while i was trying to take pictures of asher. goodness they grow too fast! their nice haircuts here may be part of it! today is lazy and whiny so far. and then decided to eat his lunch off the floor. So cute! I love how he popped right in as well - that smile is priceless! It sounds like you have your hands full. Us too! 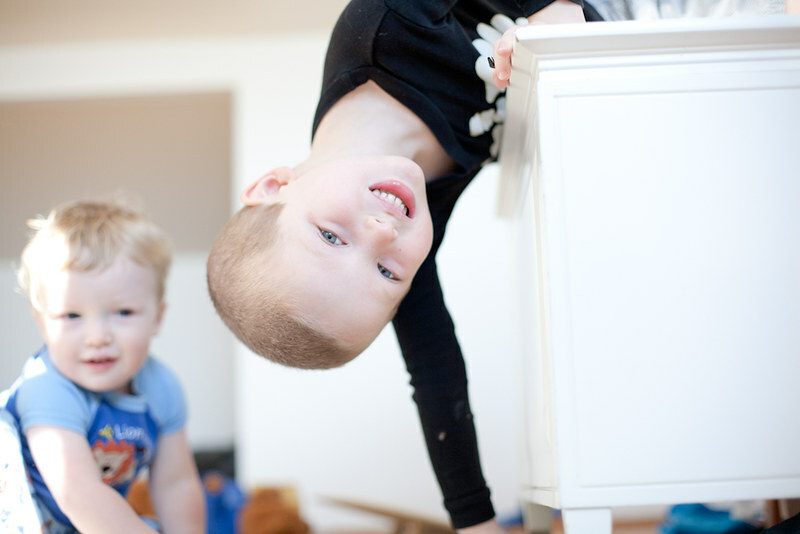 Toddlers can be very busy, curious and active ones!